Joule, the Canadian Medical Association’s (CMA) newest company, has officially become Hacking Health’s National Medical Partner, providing the tools and resources for Canada’s physicians to develop innovation that will help shape the country’s healthcare system and improve patient outcomes. Serving the CMA’s more than 86,000 members, Joule is a catalyst for physician-led innovation. 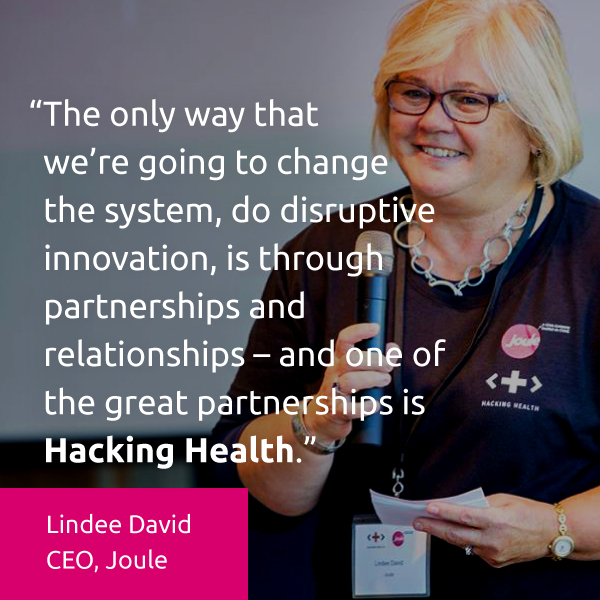 In spring 2017, Joule teamed up with Hacking Health for events in Halifax and Ottawa and will actively take part in Montreal, Quebec City, Prince George and Toronto this coming Fall. For more information on this partnership, please watch this video. 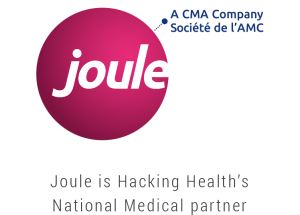 For more information about Joule please visit joule.cma.ca.